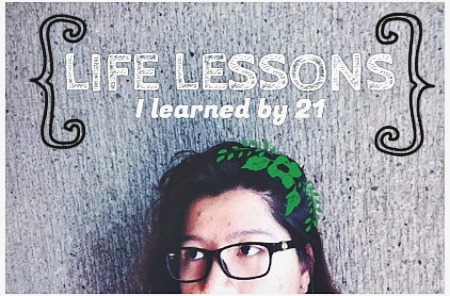 First of all, these is a very badly edited header for such a heart-felt blogpost. But oh well, here we go.. This might come off as really random but every afternoon around 4 to 6 p.m., I get really hungry to the point that I can’t concentrate on anything. I would stare at my computer screen and start working but I would constantly feel a stabbing pain in my eyes, and in my head, or maybe both, I’m not sure, but it’s when I stare at a screen for too long. My eyes would start twitching and I’d start seeing swirls and stars. So I stopped for a moment and thought of watching a movie, Bride Wars, to entertain myself a bit. I wasn’t bored with work, not at all. In fact it’s the most interesting manuscript I’ve edited – still editing – so far, it’s feeding me a lot of information, and it’s not giving me a hard time (major points for that!). But I was feeling restless. And hungry. Really hungry. I ate two apples (gosh I feel so healthy already), but those weren’t enough (obviously). I wanted real food, I wanted my meat. More so, I obviously couldn’t workout with an empty stomach, plus a bad knee. 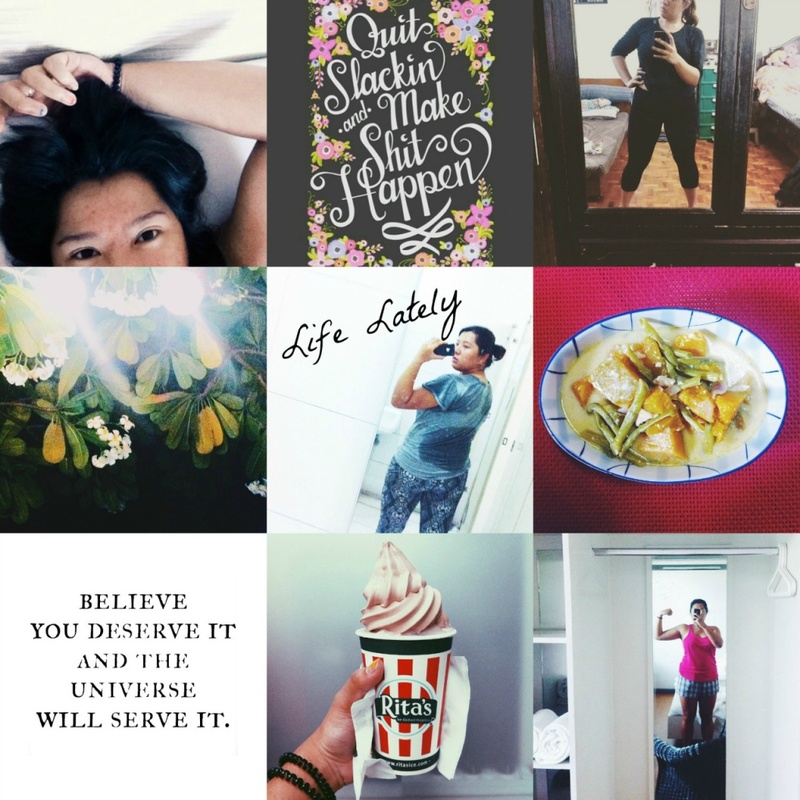 Since I didn’t have any real food around, I decided to do something else, like updating my blog and finally typing down the thoughts I’ve had hanging in my head lately. 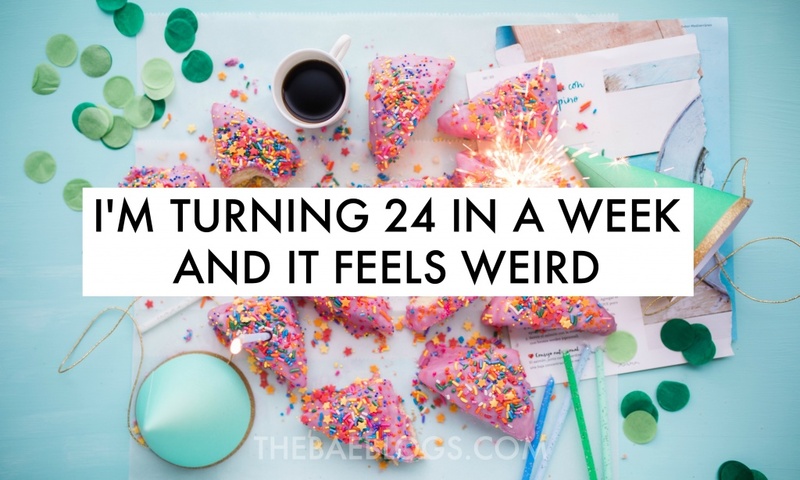 I’m the kind of person who always gets giddy when her birthday is coming up, despite the lack of celebration, or it being just a normal day. I don’t know about you, but for some reason, the day is extra bright when it’s my birthday. I tend to be more patient, and I just feel good all day, or at least I try to. Of course, as most of us do, I don’t escape the endless list of birthday wishes – material things to be exact. 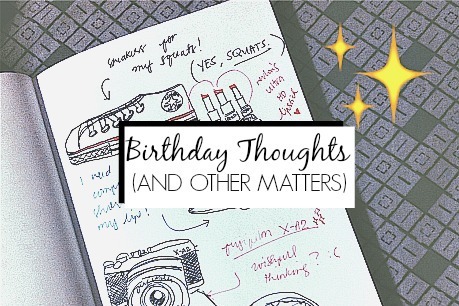 So being the silently insatiable being that I am, I made up a list of what I wanted for my birthday and drew them, well.. because I was feeling creative that time (and I just finished a manuscript that I obliged myself to pass that day, and dang, my brain was really tired). Of course I don’t always get what I want, and that’s also because I seldom ask for anything. But when I really want something, I work for it, and think a thousand times over before I ask for it because I have this mentality that I don’t want others to spend for me. Chuck Taylor – before you judge me for asking for something basic (it would be a privilege, more so), let me tell you that I want a pair of sneakers for my gym sesh. Yes, you read it right. Gym. Squatting requires a flat floor surface, you don’t want heels or curves or shoes with gum soles. You want to stay flat as much as possible. I personally remove my trainers when I squat and workout with only my socks on. It might seem weird especially when I roam around the gym after squatting, but it really helps when I feel the floor and everything including the mat, because that’s how I find my balance. I recently went to the mall and tried to make a canvas of sneakers but boy were they expensive! It actually made me question how our economy is doing. Workout clothes – Okay, alright, I know, I don’t need fancy clothes only to sweat in. But I only want comfortable clothes, where I feel and look good at. When you look good, you feel good about yourself, right? I know I can sweat buckets when I workout, but I also want to look good while doing it. I don’t want to look like a rug while doing those awkward-looking exercises. But to make things more difficult, I am kind of picky with what I wear. With a body like this, I can’t wear just anything. But if I like something, I swear by it and stick to it. Let’s hope that I feel sparks fly the next time I go workout clothes shopping. Fujifilm X-A2 – I’m not a photo/camera expert, but this one’s a winner. It has all the cool stuff I would want to have in my camera, but dang is it expensive. Well, it should be because I would guess that it rates A++ in the market right now. See for yourself here. Also, credits to Camie for posting about it! I wouldn’t have fallen in love with it had she not blogged about it. Food – Yes, I want food on my birthday. Specifically a whole box of Shakey’s hi-protein thick crusted pizza and a whole Tobler cake from Cake-2-Go. The spaghetti and chicken tandem is so yesterday. A new addition to my birthday wishlist is Revlon’s Ultra HD lipstick – I don’t easily go gaga over makeup because I’m not really into it. Yes, it looks nice on women, I always think it takes only a solid 5 minutes to put my face together. I was right. 5 minutes.. and 25 more. It makes a woman look really nice and polished (don’t get me wrong, I still find natural skin more beautiful), but when I think of doing my own face, just thinking about it makes me feel tired already, because I am already 21 years old and I still don’t know the proper way of applying mascara. I usually stay away from it and stick with my brows-cheeks-lips combo. But contrary to what I said, I found an ad of Revlon’s Ultra HD lipstick in a magazine a few weeks ago and it looked nice to me, especially because it covers basically every inch of your lips where you apply the product, unlike some lipsticks that leave your lips chapped, or those that look uneven when applied. Oh Lord, I hate when I drink or eat, and it instantly gets swiped off. That’s why I’ve always wanted lipsticks that are in a matte formula and are long-lasting. I don’t like shimmer on my lips so this one’s a done deal. Before I get too giddy about it, I read and watched reviews about it and apparently, it’s on sale in Target stores like, whyyyy. But honestly, I wouldn’t mind getting one tube if it’s that good. Love is really ON! On the other hand, knowing me, I know I would get lucky if I could get even one item from the list above. I usually have a lot of wants and end up buying them than those that I need more, say, a decent pair of flip flops that are actually my size, and not a size smaller (hello, mother), a trusty pair of jeans, and other things I can’t think of right now but probably need. PS, That header looks like crap. Seriously. I need a better camera. I can’t keep editing my photos to make them look prettier. Or at least a new phone. I don’t know. Help?